Oxygen Modeling Mask or Cryo Velvet Mask moisturizing effects UP! 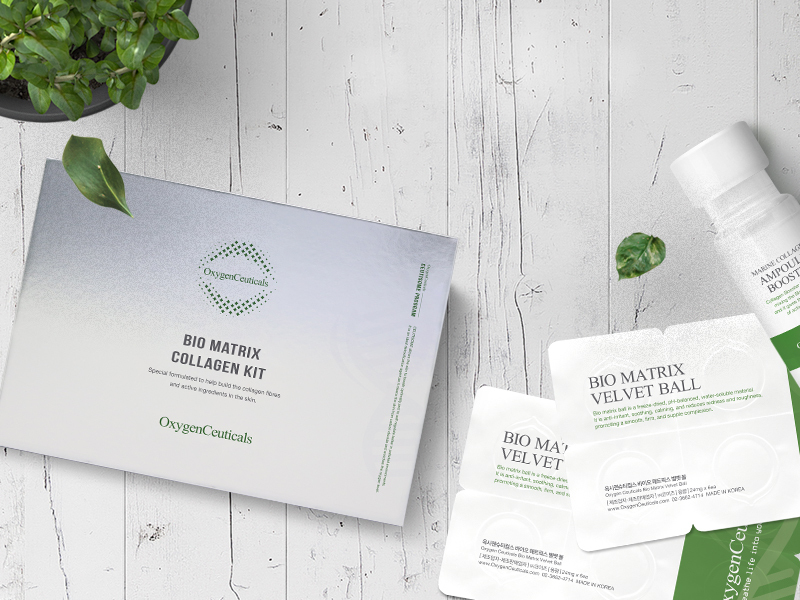 Bio Matrix Collagen Ball and mix it together circular motion until it melts. 2. Apply to whole face & neck and massage gently in a circular motion until it is absorbed.